Available in Many Size Pistol and Rifle Calibers! GPM-300-110-50: Quadra-Shock 110 Grain 300 ACC- 50 count, 10bx/case. 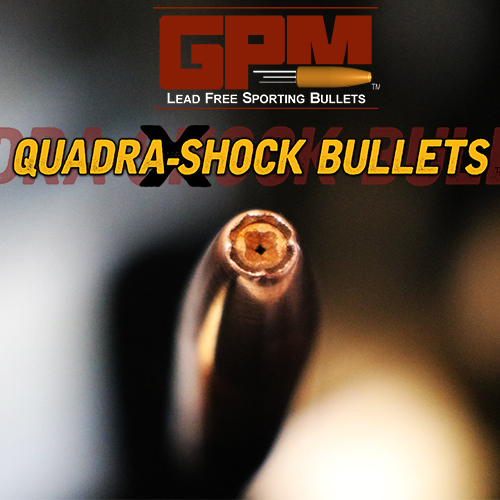 Announcing the new lead-free, high-performance GPM Quadra-Shock™ ammunition! GPM Quadra-Shock™ offers all the performance of existing non-frangible duty/sporting rounds but at a value-level price. Presently, market leaders in this market category offer bullets of varying hardness and density. TB Ammunition sells for 30-65% less than the leader with lower pressures and almost no copper fouling. TB Ammunition utilizes translucent water-resistant packaging, a reusable value for high-volume shooters. The clam shell packaging acts as your shell holder and shell box all in one. Storage, identification and reloading becomes easier and more cost effective. 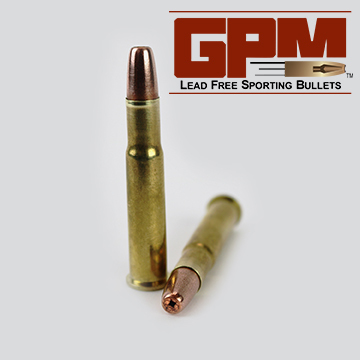 GPM utilizes all-new brass and proprietary non-toxic bullets, which hit the market in 2017. TB Ammunition’s Quadra-Shock™ is all about performance and value. Some manufacturers are priced up to 300% more than similar Quadra-Shock™ rounds. TB Ammo’s patent pending components deliver competition-like performance and consistency; which is exactly what you would expect from the world leader in lead-free ammunition projectiles. 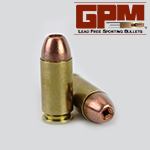 Click here for information on how to purchase GPM Bullets! 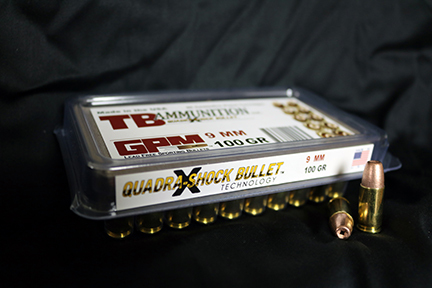 Check out this video from The Daily Shooter for an independent review of TB Ammunition GPM Quadra-Shock™ Aummunition!